A safe-cracker by trade, Reiser was also a devoted family man. Using the name Charles Shopes, he was friendly and helpful. He used the money from robberies to buy a large apartment building in Chicago where he was known to be a good landlord. To the underworld and the police, however, Reiser was known to be a vicious thug. He was first arrested in 1902. While on bail, he killed the only witness to his crime and the case was dropped. Three years later, the same thing happened — he was arrested, the witness disappeared and the case was dropped. In 1907 he was convicted of assault with a deadly weapon and sentenced to 30 days in prison. In 1909 Reiser was arrested in Seattle, Washington and charged with burglary and murder. For a third time the witnesses in the case were killed. In 1914 he met Dion O’Banion and became something of a mentor to the future leader of the Chicago North Side Gang. O’Banion began to go on jobs with Reiser. In 1919 May Mahoney, the wife of a criminal colleague of Reiser’s, John Mahoney, threatened to go to the police. Reiser beat her to death at her home at 1137 West Washington Street, Chicago. 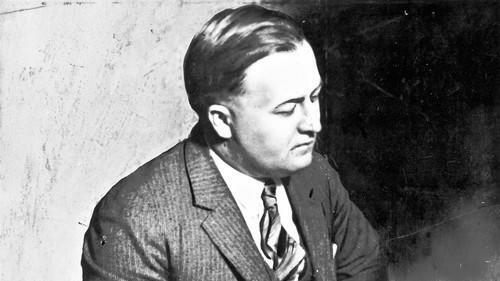 In 1920 Clarence White, another crony of Reiser, was questioned by the police. The two men had stolen a safe belonging to Standard Oil and rifled its contents. To ensure that White did not betray him, Reiser murdered him but made the death look like suicide. In April 1921 the police arrested John Mahoney. He was caught in the act but not long after the police bailed him, pending further enquiries, he was found shot to death in an alley at 1814 South Peoria Street on 30 April 1921. Six months later, on 10 October 1921, Reiser was shot twice during a robbery attempt at a cold storage depot and was taken to the Alexian Brothers Hospital. On 21 October, he was found dead in bed after “a rattle of shots”, with his second wife leaning over his body sobbing hysterically. Mrs Reiser was charged with her husband’s murder but the case was dropped when a coroner’s jury ruled his death a suicide despite the fact that he had ten separate bullet wounds and his right hand and left arm had been broken in the robbery.